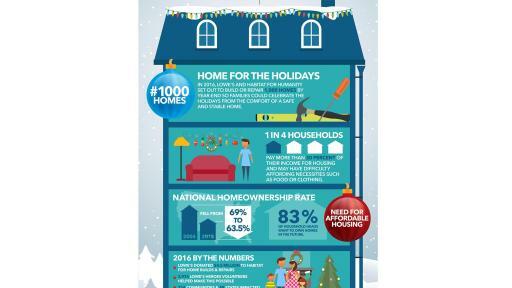 PR Newswire, FORT WORTH, Texas (Dec. 6, 2016) — This holiday season will be particularly special for more than 1,000 families, many of whom will - for the first time - be able to create memories in their own homes. 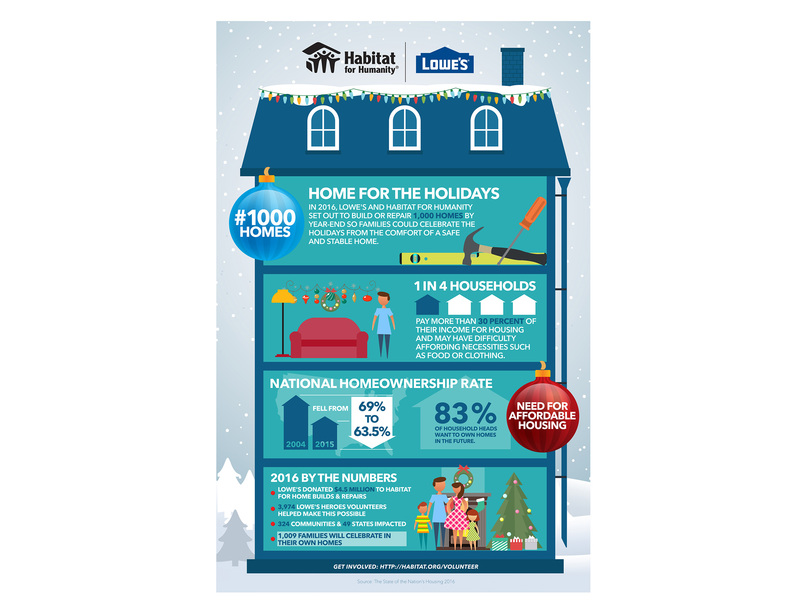 Throughout 2016, longtime partners Lowe’s and Habitat for Humanity have worked toward a yearlong goal to build or repair 1,000 homes alongside families across the U.S. to help them realize their dreams of safe, affordable homeownership. 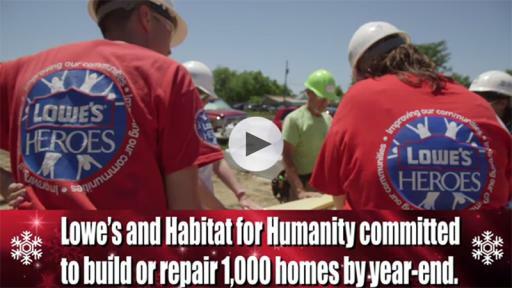 At a culminating event in Fort Worth, Habitat and Lowe’s will revitalize 58 homes and string holiday lighting with 19 families, while celebrating surpassing that goal and bringing the joy of experiencing holiday traditions in the comfort of their homes to families in more than 300 communities nationwide. Stable housing is foundational to building strength, stability, self-reliance and living a quality life, but in communities across the country, having access to a decent and affordable house is a challenge for many families. Nearly one in four households in the U.S. pays more than 30 percent of their income for housing, making it difficult to affording necessities such as food or clothing. 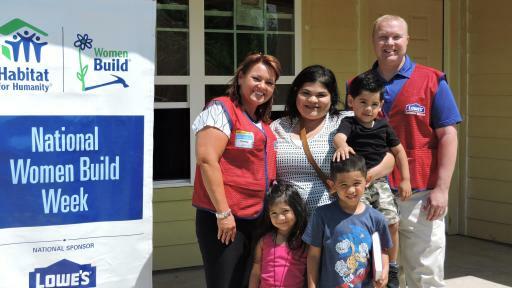 Lowe’s Heroes volunteers across the country provided their expertise and assistance to touch the lives of incredible families from across the nation including the Rico family from Fort Worth. 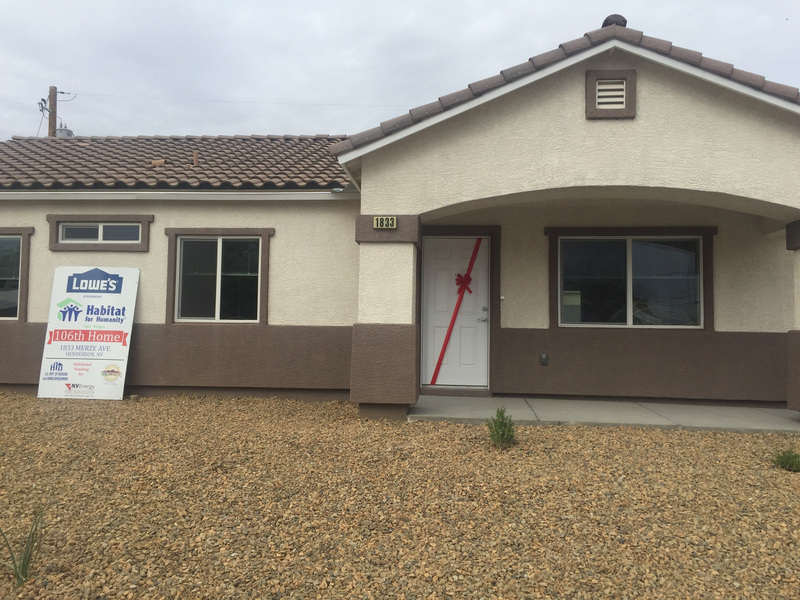 Shelby Rico, a single mother of three children, thought homeownership was out of her reach until Trinity Habitat for Humanity accepted her application through its homeowner partner program. 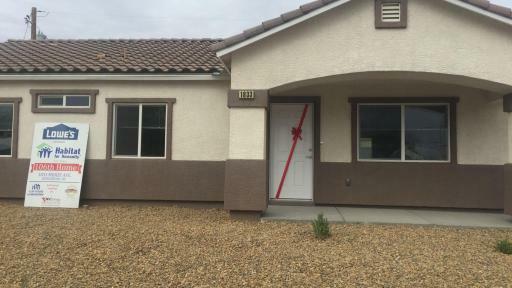 This year, after putting in more than 200 hours of sweat equity, including time actually framing her house during National Women Build Week, Shelby and her kids will celebrate Christmas morning together in their very first home. 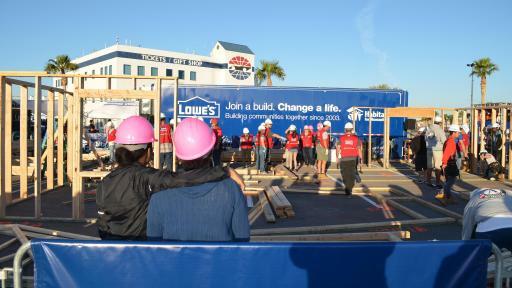 Lowe’s and Habitat for Humanity launched the Home for the Holidays initiative in March at the Kobalt 400 and worked throughout the year to reach their goal through a variety of partnership events such as National Women Build Week, neighborhood revitalizations and Lowe’s volunteer days. 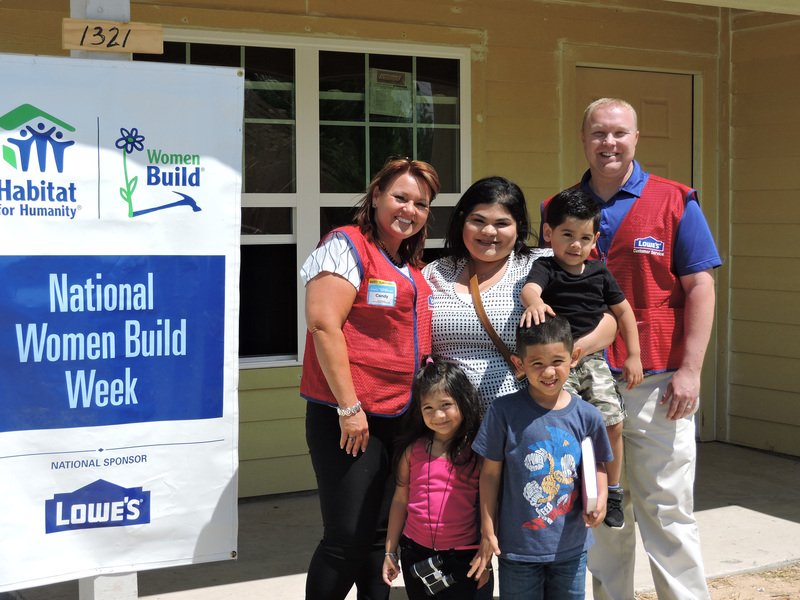 Since 2003, Lowe’s has committed more than $63 million to Habitat and helped more than 5,500 families improve their living conditions. 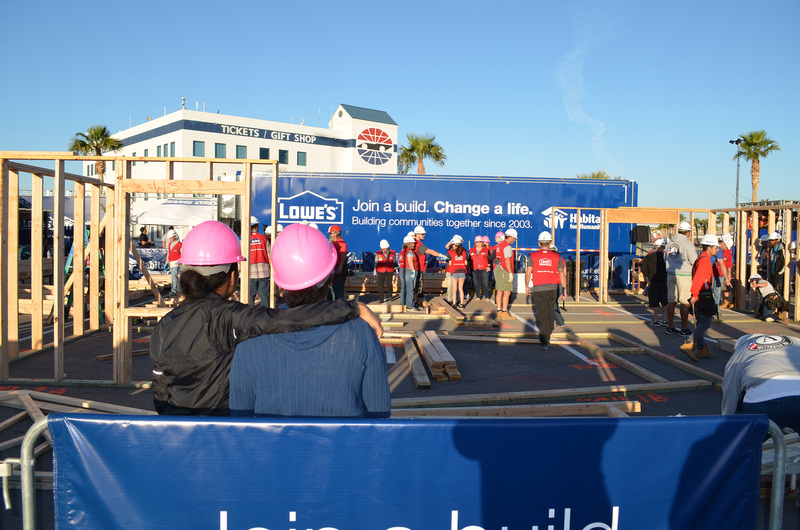 Lowe’s partners with Habitat for Humanity to build homes and revitalize communities around the country. Anyone interested in volunteering can learn more at Habitat.org/Lowes. 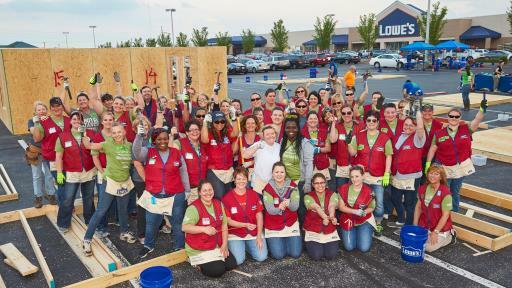 Lowe’s, a FORTUNE® 50 home improvement company, has a 50-year legacy of supporting the communities it serves through programs that focus on K-12 public education and community improvement projects. 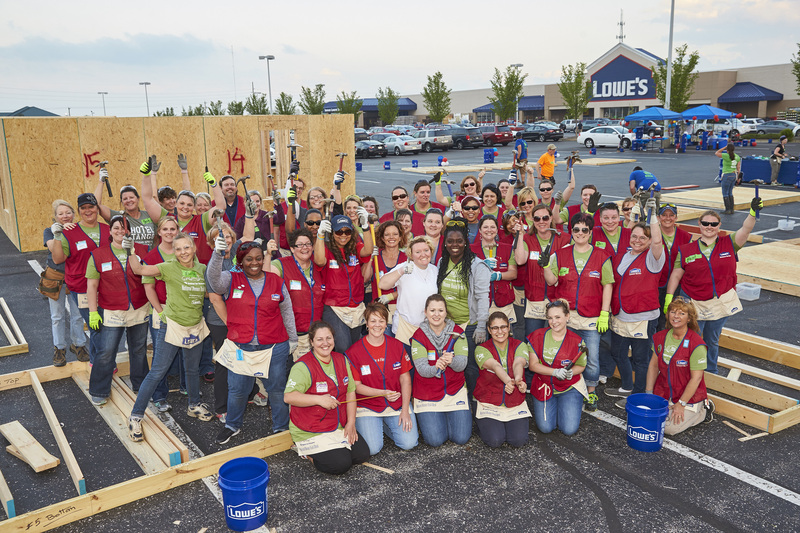 Since 2007, Lowe’s and the Lowe’s Charitable and Educational Foundation together have contributed nearly $250 million to these efforts, and for more than two decades Lowe’s Heroes volunteers have donated their time to make our communities better places to live. To learn more, visit the Lowe’s Open House digital newsroom at newsroom.lowes.com.